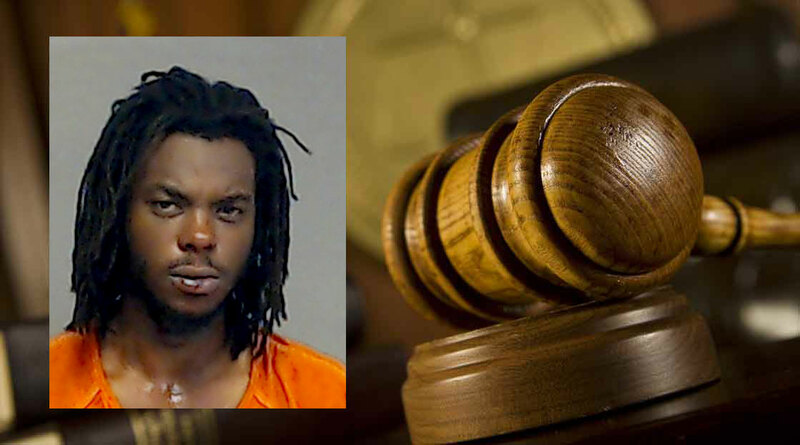 SAN ANGELO, TX — Indicted for drug dealing, Jadariun Kentral McCarthy was offered a choice by District Judge Jay Weatherby: 10 years on deferred adjudication probation or 5 years in the state penitentiary. McCarthy chose probation. He made the agreement with the judge on June 13, 2018. Last week, McCarthy’s plea deal was converted into a 7-year prison sentence. According to court records, he violated probation and the judge revoked his probation. McCarthy was involved in a domestic disturbance in June 2017. According to the police report the next day, a man reportedly kicked in a door and a woman was heard screaming in an apartment complex in the 2400 block of N. Lillie. McCarthy ran on foot but police apprehended him quickly. When his vehicle was searched, police found drug paraphernalia and a quantity of suspected marijuana, ecstasy, methamphetamine, and crack cocaine. San Angelo Police officer Daniel Williams testified in court that McCarthy broke free from him and in the process broke his finger. Williams said doctors told him his finger was “broken, dislocated and shattered.” Williams said he was on light duty for about three months and doctors had to put a pin in his finger. He testified his finger would never be the same. SAPD officer Tony Lopez testified that when they searched the vehicle, they found 12.3 grams of methamphetamine worth $80 dollars a gram or $983 on the street in San Angelo. He also found 40 grams of crack or rock cocaine which is about 400 individual doses worth $8,000, and 80 doses of ecstasy in pill form valued at $15 per pill or $1,200 total. Lopez also said he found a small amount of marijuana and drug paraphernalia including a digital scale for measuring illegal drugs. Weatherby found McCarthy guilty on May 31, 2018. Two weeks later, Judge Weatherby showed mercy for McCarthy, as he noted McCarthy had no previous record. He offered him the choice of 10 years probation or 5 years in prison as punishment. McCarthy chose probation. McCarthy began his deferred adjudication probation that day, on June 12, 2018. On December 4, 2018, McCarthy was back in the Tom Green County Jail. According to court records, McCarthy discharged a firearm. But he wasn’t paying his probation fees, failed to report to his probation officer, and would not allow a probation officer to visit his residence, either. He also failed to notify authorities of his new residence. His first probation violation was by the end of July 2018. During his Motion to Revoke hearing April 11, Judge Weatherby revoked the deferred adjudication and sentenced McCarthy to 7 years in the state penitentiary. He was given credit for time served in the Tom Green County Jail since December and for four days he spent in the county jail in June 2018. He should have been sentenced fo 10 years or more. Its apparent this poison pushing looser slug of society is not and does not give a !#%* about doing the right thang. "He will be released to begin his ten years deferred adjudication immediately." This court in San Angelo is a joke....I hope the DA is proud of herself!